If you have a Panasonic GH5 camera there’s likely a long list of accessories you’d eventually like to buy as your budget allows. I’d suggest a good quality LED, some extra batteries (I’ve have good success with off-brand ones such as Wasabi and Newmowa available online from Amazon, etc. ), possibly a cage if you plan to use the GH5 for serious film work or music or wedding videos, and a decent shotgun mic, among so many other little odds and ends. Once you’re up and running, and have digested some of the expense, you may want to consider an external monitor. 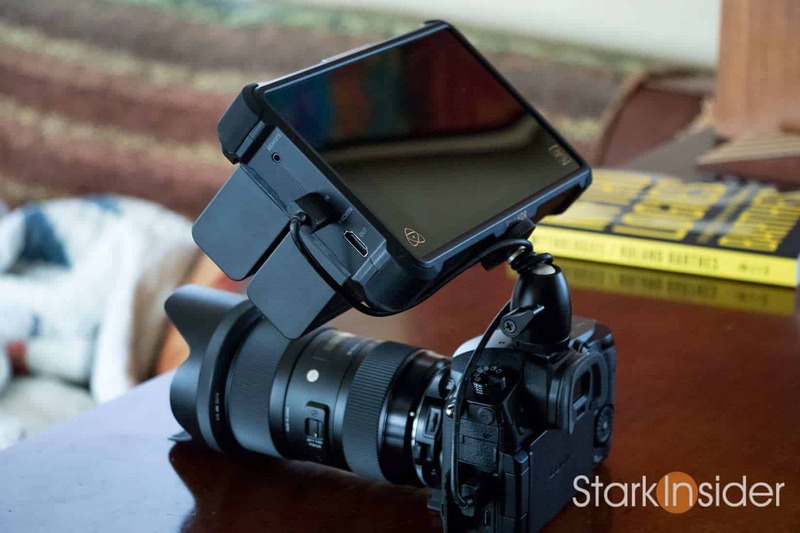 One in particular impresses me: the Atomos Ninja Inferno. The Ninja Inferno is particularly well suited for the GH5. 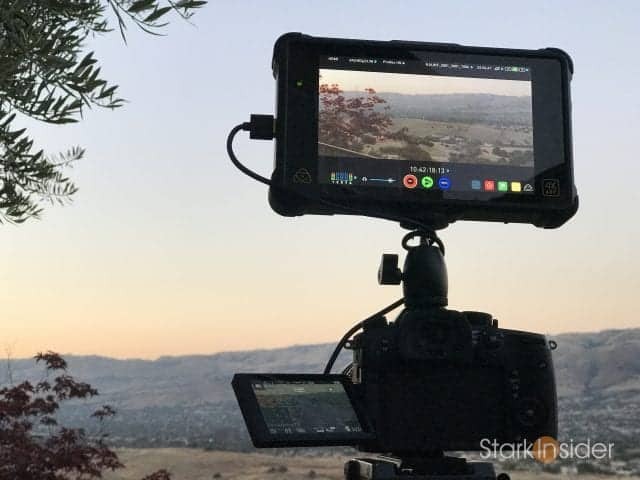 Aside from having a bright 7-inch display with lots of exposure, color (in-monitor LUTs for instance) and focus tools, the key trick that the Ninja Inferno offers with the GH5 is 10-bit 4K/60fps 4:2:2 recording. In other words you get very high quality slow motion. The 4:2:2 color depth (as opposed to 4:2:0) means you get extra color bits to work with. Hence, banding is virtually eliminated in blue skies. And you have far more creative freedom in post production to push and pull your footage. 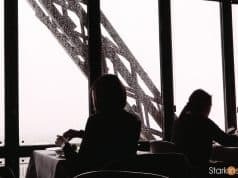 This is invaluable in establishing a final “look” for your project, be it a fashion film, wedding video, short film, music video, travel segment, or documentary. If you’re planning to take advantage of the GH5’s external 4K/60/4:2:2 output with the Ninja Inferno be sure to enable it in the menus. It’s not hard. But don’t forget if you want to record internally again you’ll need to disable it. And while you’re recording the higher 60fps/4:2:2 video, the GH5 will only record externally (nothing will save to the internal SD cards). Another reason I like working on projects with the GH5/Ninja Inferno combo is the ability to record to SSDs. The Ninja Inferno uses SSDs, which today are reasonably priced. So you can get, say, a monster 1TB WD Blue SSD on Amazon and have plenty of recording time, even when shooting at 4K (150Mbps). As an aside: that same 1TB of storage for a RED camera would cost (merely) $2,950. Another advantage of an SSD over the standard SD cards the GH5 uses internally is transfer speeds. If you shoot a lot of footage during the day and need to reset over night, dumping from an SSD vs. a standard class 10 SD card is far, far faster. Basically, you’ll be able to dump footage, reformat your drives, and be ready for the next day 3-5x faster. It’s a big deal. After all, time is money. 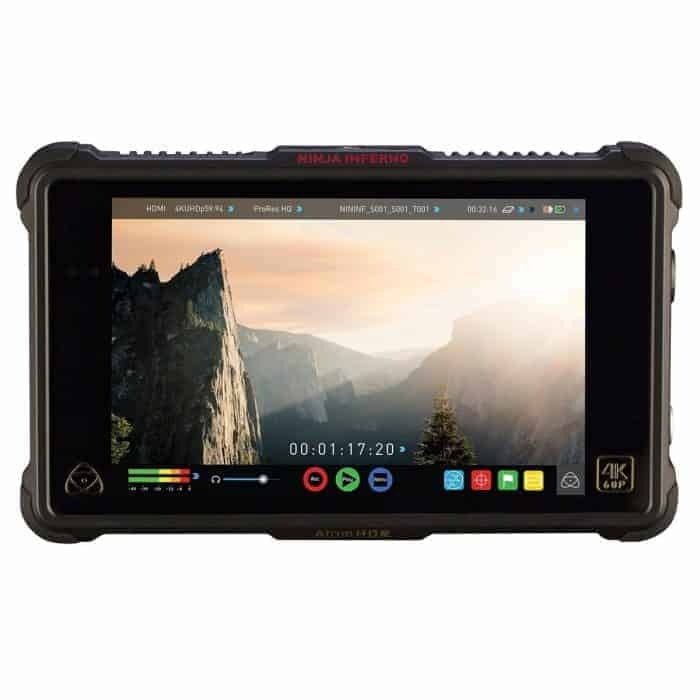 Finally, given the Atomos Ninja Inferno features good old HDMI ports (and is powered by widely available and cheap Sony NP-F batteries) you can readily use it on just about any camera out there. 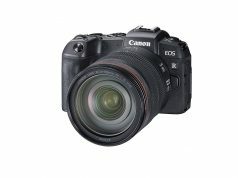 Keep in mind most Canon DSLRs don’t provide a clean HDMI output so that would be a problem on something like the EOS 70D and 80D. 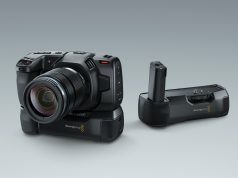 But for others like the Canon C100 and new C200, Sony a6500 and a7 series, Sony FS7, etc. you’ll likely find the Ninja Inferno a good companion. I’ve also used the Inferno with good success on the RED Scarlet-W — for some reason I find the focus peaking and other assist tools better implemented and easier to use on the Inferno vs. the standard RED monitor. YMMV. 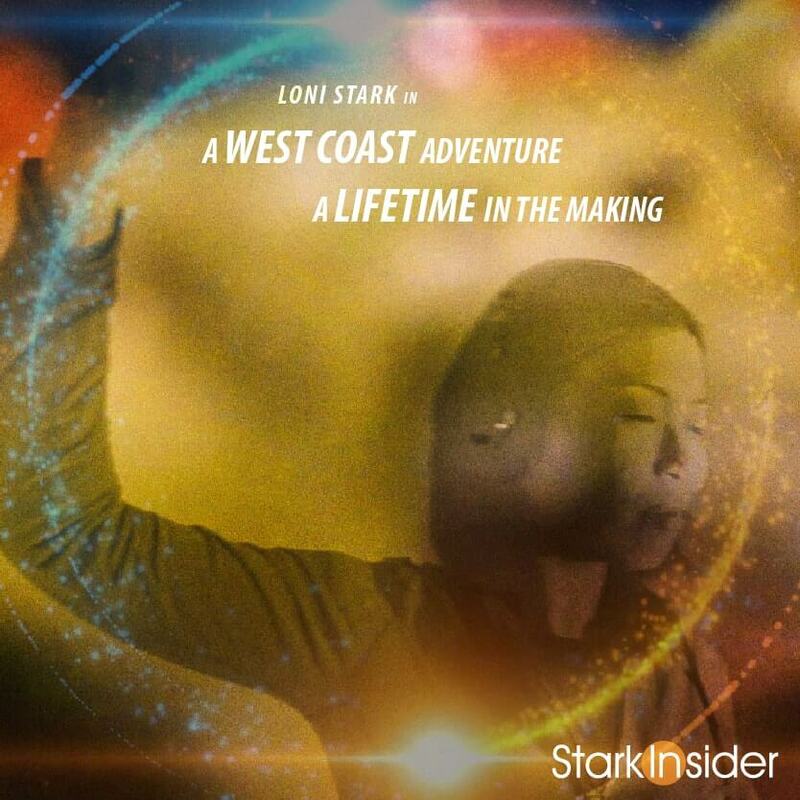 Just my experience shooting shorts, interviews and experimental stuff for Stark Insider. Atomos Ninja Inferno: It’s not perfect, especially the way it eats batteries, but I thought where else can I get the a 4K/60fps 7-inch/monitor recorder for under $1,000 USD? So mostly praise then for the Ninja Inferno and GH5? … battery life is not the best. Powering a large, bright 7-inch display while recording high bit rate 4K video files takes its toll on battery life. Alas, nothing comes free. However, Sony NP batteries are relatively inexpensive. Bring 3-4 spares along and you should be okay for most shoots. For even longer run times I use the Anton Bauer extended batteries. They’re bulky alright, but for studio work I don’t find that to be a problem. Another option for powering the Ninja Inferno: d-tap. If you use V-mount batteries, you can buy a d-tap cable that connects to the monitor’s power input. This is handy as it’s one less battery you need to worry about. It will drain your V-mount faster, of course, but you’re rig will weigh less overall. All a set of compromises. It really just depends on your particular project. 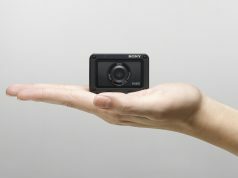 Basically, for around $4K or so you get a compact, handheld, cinema-like camera that can go just about anywhere, and scale from run-and-gun and street shooting to weddings to full-blown commercial and filmmaking applications. Pretty impressive. 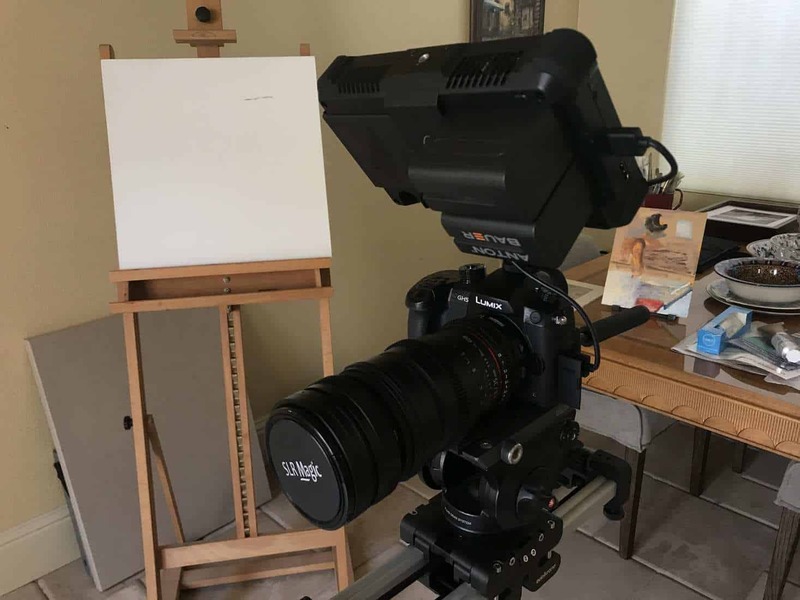 Sure, those with, say, a $7-$10K budget may want to consider a dedicated cinema camera like the Sony FS7/FS7 II or Canon C100/200 or upcoming Panasonic EVA1. But for those on a budget who want something beyond basic DSLR or mirrorless functionality (or those who want to shoot discreetly in public places), in my books it’s really hard to beat the combination of a Panasonic GH5 and Atomos Ninja Inferno monitor and 4K recorder.